Emerging infectious diseases pose a significant threat to global biodiversity. Batrachochytrium dendrobatidis (commonly known as the amphibian chytrid fungus), an emerging fungal pathogen primarily affecting amphibians, is of particular concern because it has caused severe population declines and several extinctions in amphibian populations worldwide. Our current research investigates how the chytrid fungus interacts with other potential stressors in the environment (e.g., livestock grazing) to influence amphibians as well as the potential mechanisms by which amphibians develop resistance to the lethal disease. 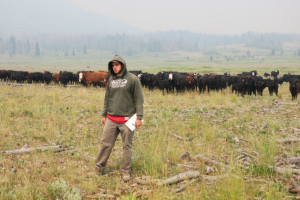 We use radio-telemetry and capture-mark-recapture methods to assess the habitat selection and population dynamics (e.g., survival, recruitment) of infected boreal toad (Anaxyrus boreas boreas) populations across a gradient of cattle grazing intensity. Evaluating the interactions between multiple potential stressors on amphibians as well as identifying host defense strategies against the chytrid fungus will inform global amphibian conservation and significantly advance the understanding of wildlife disease ecology. Analysis of the disease samples necessary to answer our intriguing research questions will be made possible through the support of this award. I am therefore sincerely grateful for this generous scholarship as it will not only help fulfill my intrinsic desire to improve wildlife conservation, but will also enhance my academic career by providing important contributions to science. An adult female boreal toad equipped with a radio-transmitter. 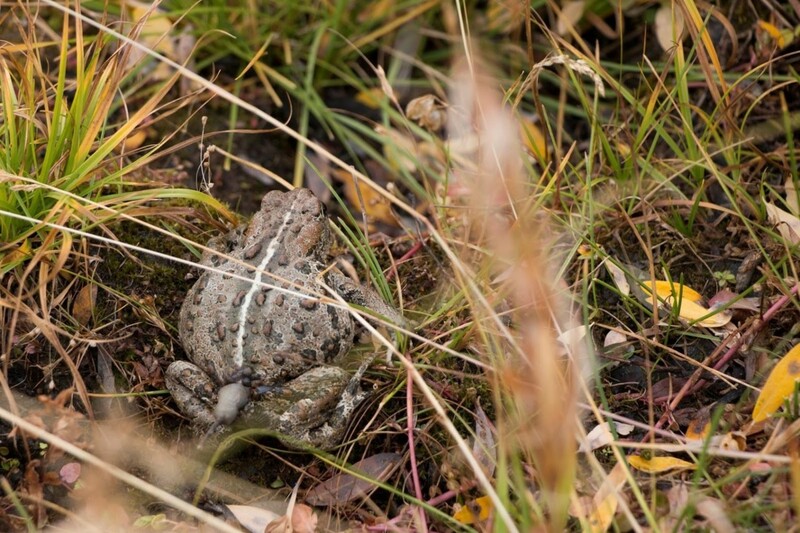 Researchers use radio-telemetry to track the movement and habitat selection of boreal toads in the Bridger-Teton National Forest in western Wyoming. 1 Wyoming Cooperative Fish and Wildlife Research Unit, Department of Zoology and Physiology, University of Wyoming, Laramie, WY 82071, USA.